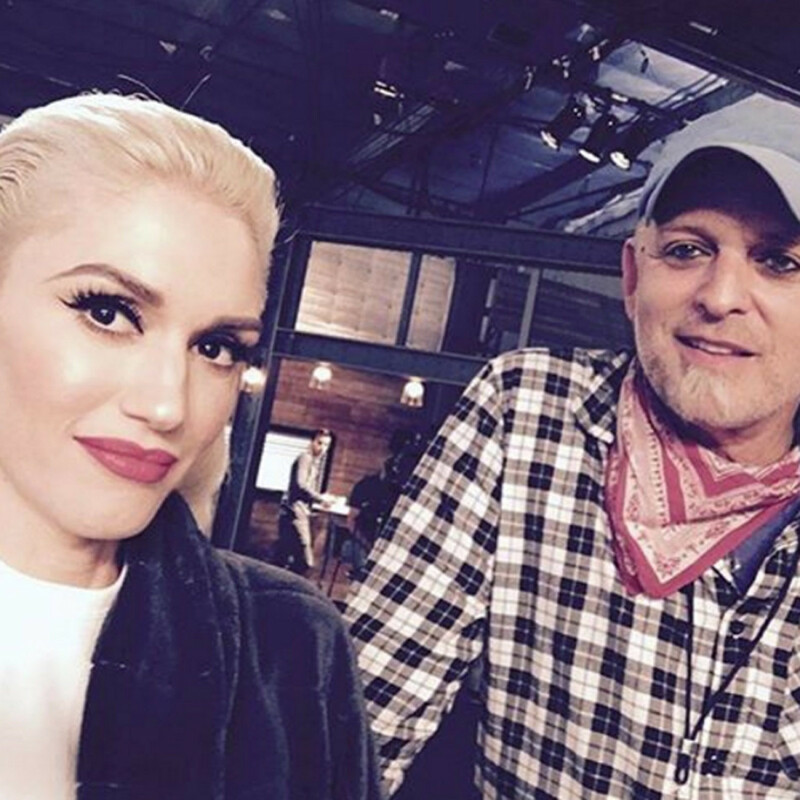 Ever noticed how Gwen Stefani NEVER has roots? Or even a hair out of place? A natural brunette, she&apos;s also rocked platinum blonde for two decades, but I&apos;ve yet to see her showing any signs of damage. Well, she has a secret weapon. His name is Danilo. With celebrity hairstylist Danilo after the best blowout of my LIFE. The Los Angeles-based celebrity hairstylist may not be as "Instagram famous" as, say, the Kardashian family&apos;s styling crew, but you&apos;ve no doubt seen his creative genius all over the red carpet, on the runway, in videos and in magazines. He&apos;s the man behind Rooney Mara&apos;s &apos;Girl with the Dragon Tattoo&apos; makeover, for example, and Lady Gaga&apos;s Diet Coke rollers from the "Telephone" video. 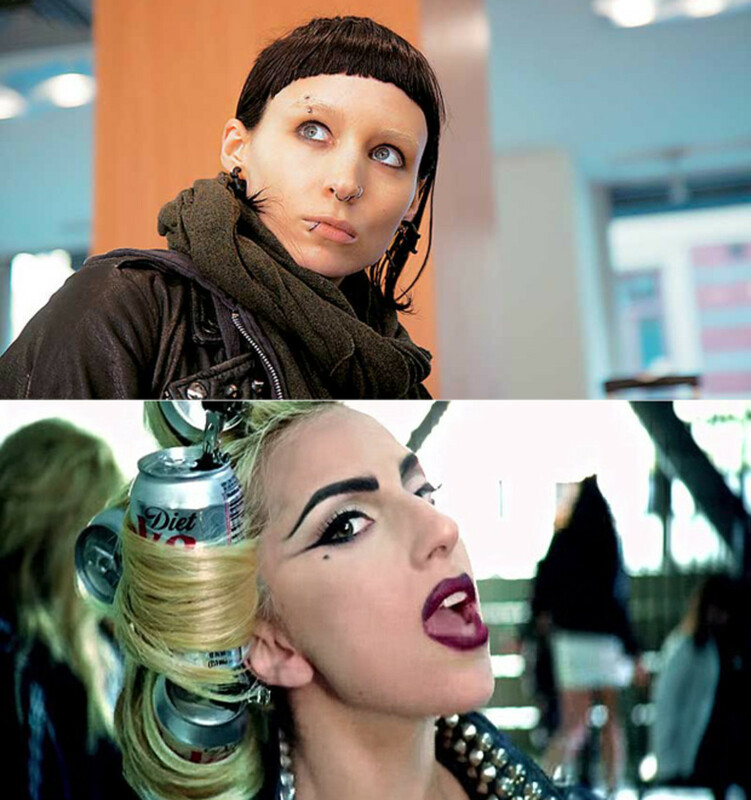 Danilo created the hair for Rooney Mara&apos;s character in &apos;The Girl with the Dragon Tattoo&apos; (top), and Lady Gaga in "Telephone" (bottom). In the &apos;80s and &apos;90s, he was a key figure in the supermodel movement—working at Oribe in New York and styling the likes of Cindy Crawford, Christy Turlington and Linda Evangelista. Linda Evangelista, Christy Turlington and Cindy Crawford on a 1991 Vogue cover. 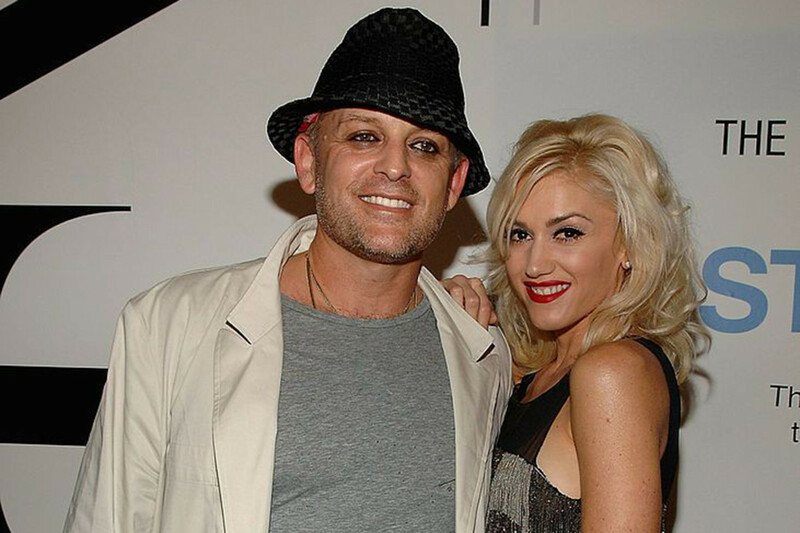 But these days, Danilo is most well-known for collaborating with Gwen, who has been a client (and friend) for nearly 20 years. Others include Cate Blanchett, Julia Roberts, Drew Barrymore, Madonna, Katy Perry, Dita Von Teese, Natalie Portman, Selena Gomez, Beyoncé, Anne Hathaway, Naomi Watts, Britney Spears, January Jones and Gigi Hadid. Basically everyone. Thanks to Pantene—he&apos;s their celebrity stylist and global ambassador—I got to have the #HairByDanilo experience myself, on one of his recent visits to Toronto. Best blowout ever, in case you&apos;re wondering. As if that weren&apos;t enough of a career highlight, I also visited him in LA this spring, for a day of hiking, juice bar hopping and hair chat. You&apos;ve worked with countless actresses, models and singers. What is your process when you collaborate with a celebrity? I want to know what you&apos;re wearing, always. It&apos;s one of the first questions I ask. The other question is, "Who do you want to be today?" I want to know what your spirit is today, because these are celebrities—it&apos;s their image. 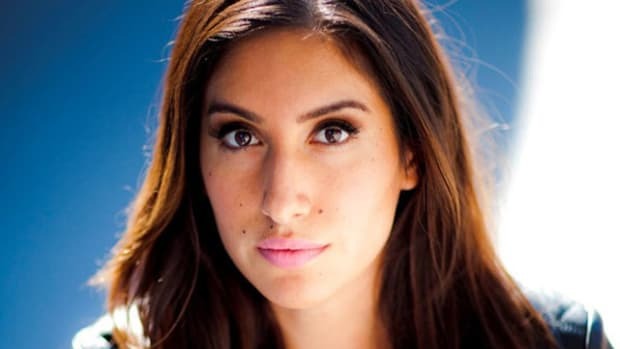 Actresses don&apos;t necessarily have that going on, because they&apos;re always told who they are. But singers have a very strong personality and very strong emotion. So it&apos;s collaborative. The funny thing is, you know what that&apos;s based on? It&apos;s not only a standard I hold out of respect, but it&apos;s also because I&apos;m an artist. I have an opinion on who I&apos;m going to be. Some of them will turn to me and say, "I don&apos;t know, just do whatever you want." Even Gwen has days like that, where she&apos;ll say, "Just do something." Because they&apos;re tired and they know you&apos;re going to give them something that will help them feel confident—and meanwhile they can be that other person on the inside, saying, "I don&apos;t know who I want to be today. I&apos;m tired of being. Just paint it on me." 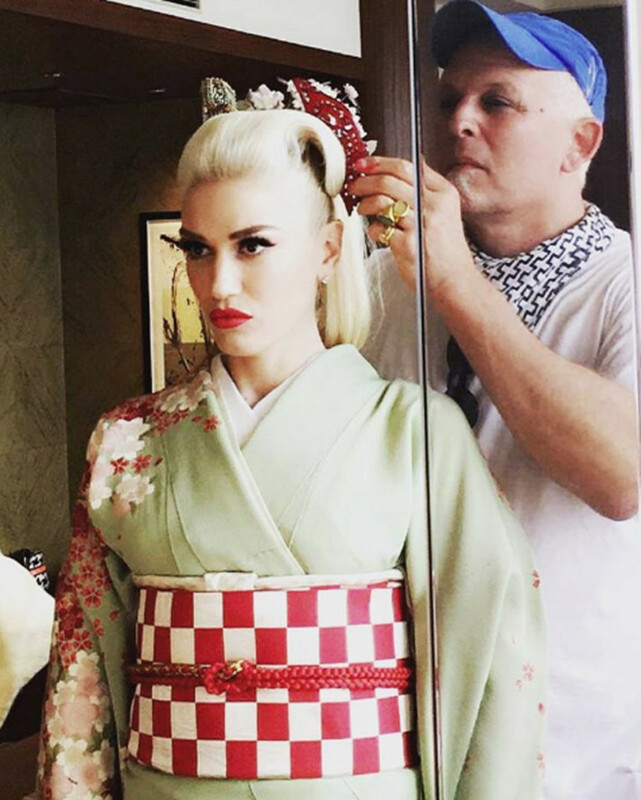 Danilo styling Gwen Stefani in Japan. One thing I&apos;m always amazed about is that I&apos;ve never seen Gwen with re-growth. She doesn&apos;t like roots. So we don&apos;t ever have roots, and she loves that bright finish to her hair. How do you keep her hair in such healthy condition? It&apos;s a technical thing. We use the Age Defy regimen, leave-in conditioners and protective stylers. I understand, this hair&apos;s compromised. So I fortify it with strength and protection. And I dial down the heat. I consciously style it; I don&apos;t burn it into submission. Although there have been days where we have, and she&apos;s like, "My hair smells burnt!" "It is." We&apos;re in a rush, and I heat it up. Like, "Crank up that iron, we&apos;ve gotta go." You have five minutes to change your look, and it&apos;s not easy. But I have strategized a program, and I designed a hair colour for her that keeps the integrity of her hair. I use haircare that keeps it shiny, strong and growing. People don&apos;t have to be compromised. They just have to work out a good plan. Do you prefer working with celebrities, models or regular people? It&apos;s really individual. You can be a celebrity, but it&apos;s a personality thing. It really depends on the person. There are celebrities who are amazing and there are monsters. I&apos;m not in the salon anymore though, because I travel all the time. I&apos;m famous for a 15-minute haircut. I cut very fast! Do you travel with a big kit? I&apos;ve sized it down quite a bit. In New York, I have, like, 15 suitcases. In Los Angeles, too. I have a lot of stuff because I need it. Sometimes I&apos;m doing 80 people. But I have a one-person kit, my one-on-one and travel kit, because it gets too much and [the airlines] want to penalize you. Who has the best head of hair in Hollywood? Gisele does have great hair. Amanda Seyfried has hair like yours, but three times as much. It&apos;s just so thick. Also Robyn Lawley—she&apos;s an Australian plus-sized model—has a great head of hair. Amanda Seyfried at the 2015 Met Gala, styled by Danilo. How prevalent are hair extensions in Hollywood? Prevalent? Yes. Relevant? Yes. They&apos;ve become a go-to. They&apos;ve gone to another level of quality and practicality—they&apos;re more refined than they used to be. You don&apos;t look like you&apos;re wearing everybody&apos;s hair. It&apos;s more realistic. I use the tape-in kind. They work very well, and stay on for a while. But not everybody wears them. Some people do wear them all the time, and they&apos;re very happy. Celebrities always seem to have such perfect hair. How can the rest of us get their great style, without a team of pros on call? There are things to look at. Studying and understanding the effect of lines, volume and shape. I think it&apos;s important to "interpret," as opposed to copy. And practice. Practice makes perfect. Your hair&apos;s different and my hair&apos;s different. They&apos;re all different. You have to find out the truths of how to manipulate your texture into what you&apos;re looking for, and how to keep it. Particularly with setting hair. There&apos;s this whole generation of girls who don&apos;t know anything about it, whereas in the &apos;60s, women always did their hair. So trying to emulate something is good, and now with all these YouTube tutorials, it&apos;s so much fun. Or—and I&apos;m a big advocate of this—you don&apos;t always have to go to a hairdresser for a cut and colour. You can go and they can style you. They&apos;d love the opportunity for somebody to come in and play. With healthy hair, you can do anything. I know you&apos;ve heard me say this. If I&apos;ve got the right shampoo and conditioner for my hair, it&apos;s going to affect my end results. I know at Pantene, we have a 50 percent claim. In using the proper regimen, you achieve 50 percent of your styling needs at the wet stage. Well, that&apos;s huge. That&apos;s already half of the job done. The rest is understanding your products, learning how they relate to your hair, and learning how to manipulate them to look the way you want. So, practice. Or hire somebody. Those are your choices. 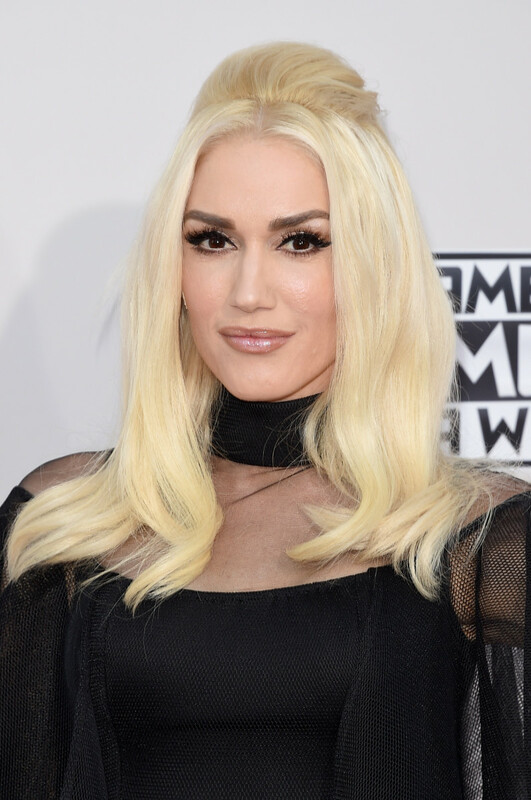 Gwen Stefani at the 2015 American Music Awards, styled by Danilo. Do you follow any hair "rules"? I&apos;m not a big believer in a lot of the rules. I stay away from them, or break them in some cases. What I don&apos;t like is the message of, "You have a square face, so do this type of hair." I don&apos;t like any of that. What I do like is, "You have a square face, so why don&apos;t you show it off?" It&apos;s to go the other way, rather than hiding it. I always use wigs. That&apos;s been my most true solution. You can buy one in the colour you like, and cut it. So, play dress-up. Take a day and go down to a hair shop. Buy yourself a wig cap and try on some wigs. It&apos;s never going to be the same as if you cut your own hair, but you get an idea of how that line looks on you. And you can start to see what the colour does for you. Do you have any tips for finding the right hair colour? I find eye colour is a real guide for colour choices. Eye colour will tell me a lot about my complexion, and it will tell me a lot about my options as far as what will work. If you have brown eyes, I know that certain shades of blonde may not work for you, but other shades will work very well. But sometimes it&apos;s about just going there, and painting your face to match. What about eyebrows? Should they match the hair colour or stay natural? I often don&apos;t like dyed eyebrows that match hair. 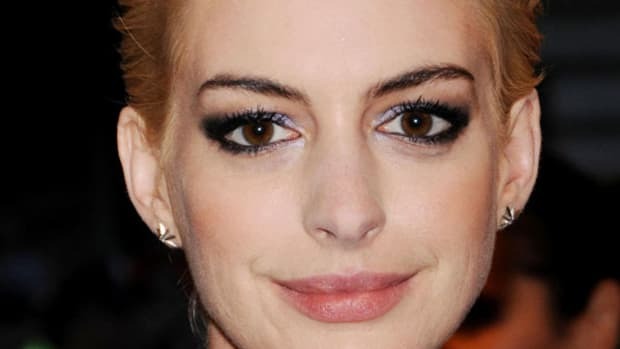 The eyebrow colour, no matter what it is, keeps a nice tonal relationship as to who you are. The minute you dye them the same colour as your hair, it looks ridiculous. But the good thing is, they come back. What do you think are the big trends happening now in hair colour and cuts? The trend is happy, healthy hair. If you have it, you can do anything you want—or nothing. I see a lot of good-quality colour coming down the path. Nice, pretty colour with a realness to it. Colour being undetectable in a lot of cases, which is interesting. Ashy colour has become quite the fashion colour. So many people have opened up their worlds because they don&apos;t have to deal with constantly dyeing their hair anymore. They spent so many years burning their hair. Ash can be beautiful. But I do think people are still going to continue with all the playfulness and the surprises of colour. Colour placement is another refreshing twist. We&apos;re not always putting it where you traditionally put it, like on the front. We&apos;re definitely starting to see a buzz about curly hair. I love the big shag. In the movie &apos;Flashdance,&apos; [Jennifer Beals] has her hair like that. That&apos;s the big one that&apos;s coming through in fashion. We&apos;ve even started to do perms. They&apos;re coming back now. There&apos;s new perm technology. Women who can&apos;t be curly want to wear curls and shag it up. We&apos;re back to that point of whatever we don&apos;t have, we want. Danilo at the Y-3 Spring 2011 show. How often should people cut their hair? I think everybody could use a seasonal trim, at least. Then it really depends on what you&apos;re doing and where you want to have your look next. Understand your style and your growth pattern and how much styling you are doing. For instance, if your hair&apos;s splitting at the ends, leaving it just because it looks longer is a huge disservice. That split is actually going to run up and compromise your hair to your chin, and then it&apos;s all going to fall off. I remember when I was in the salon, people would come in and say, "I have to have long hair." I&apos;d grab the ends and literally put it right up in the mirror with them and say, "Do you really want to wake up next to this?" That helps. Also, I&apos;ve said it before—there is no life force in your hair. It is a byproduct. It needs maintenance. Just like your nails, you cut them and file them. Your hair needs a little cutting and filing, too. A lot of women have been traumatized by hairdressers who cut off too much. You don&apos;t have to cut it all off. That&apos;s where being a professional comes in. A lot of hairdressers just hack, and a lot of hairdressers have big egos. Or their ego&apos;s on your head. But if you find a good person to have that cut relationship with, then regular trimming is good. If you&apos;re trendy and keeping up with looks, you also need to get it cut regularly and shaped, because it grows. A lot of people keep growing their hair and are struggling to style it, because it&apos;s lost all its shape to perform the style you&apos;re trying to do. It&apos;s this big chunk of weight hanging all the time. I guess people get traumatized and think that a cut is going to mean, "I&apos;m losing my look." And it&apos;s not. That&apos;s a communication thing. It&apos;s a relationship with the hairdresser. 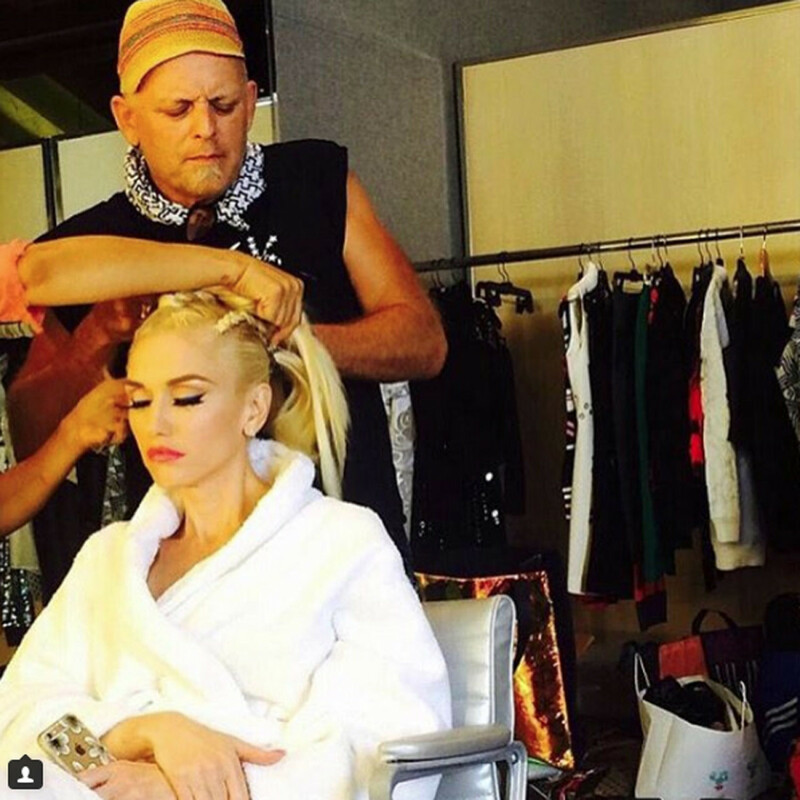 Danilo styling Gwen Stefani for a Harper&apos;s Bazaar shoot. What&apos;s the best way to communicate with a hairdresser? If you cannot verbalize what you want, then a picture is really great to say, "I love how her bangs fall in this picture." Communicating through photos is always beneficial, because a lot of people don&apos;t know how to say it. You can say, "Well I like this," but you might not be able to explain it. Your hairdresser can talk you through that. "Well, what do you like about it? Do you like that it&apos;s a blunt, full cut?" They will help you use your words. How often should people wash their hair? Never washing your hair is a new phenomenon. I am an advocate of clean, healthy hair. I don&apos;t like dirty hair; I don&apos;t think it&apos;s attractive. I know "no &apos;poo" is a story. But shine is big to me, and so is a healthy general look. That lived-in, dead hair that we see so much of, I don&apos;t find attractive. It&apos;s painful to my eyes. It just looks dry. January Jones at the 2016 SAG Awards, styled by Danilo. What do you do when a client shows up with dirty hair? The truth is, most people in my chair have dirty hair. They just do. They don&apos;t want it washed. But we&apos;ll be in a photoshoot or something, and I&apos;ve got to make it look like perfection. So I&apos;ve started to build all my looks with leave-in conditioner. It gets your hair to act like it would if I did shampoo and condition it. We have some good leave-ins. I&apos;ve tried everybody&apos;s—I&apos;ve tried 100 percent natural, I&apos;ve tried crazy synthetic. I was in Japan recently and tried everything possible. But in the end, I find a lot of the other ones leave weight on the hair. Even with our gels and hairspray, you can brush them out. They really paid attention to that. Pantene Pro-V Moisture Mist Detangler. I start with leave-in conditioner at the beginning because it&apos;s the great equalizer. It allows me a foundation so then I can build up. I wet everybody&apos;s hair down with it—I think of it as wet shampoo. Dry shampoo is to get all that oil absorbed. This is to re-boot the shaft that has died down. It won&apos;t get rid of your volume and it doesn&apos;t make it skinny. It gives that baby softness and shine. Then I build on top of it, when I go to stylers. I think it is so water-sensible that I&apos;ve start to promote it as an eco-conscious thing, too. Let&apos;s say you don&apos;t want to wash your hair. Do you have any tips for extending the life of a hairstyle? You can strategize your week and evolve your hair without abusing your hair. You start your week straight and down and flowy. By day three, you&apos;re probably going to texture up. So you start to work your undone texture; you start playing. The leave-in detangling spray is a great way to re-zap your hair without using water, and extend it for the rest of the week. By the end of the week, you can have unwashed hair if you want, and look chic and clean because all the lifestyle that&apos;s living in your hair isn&apos;t really showing. Loose hair needs to be clean, usually. As you start to put it up, you can let it be a little less washed, and give it more nutrition, too. So, you would put in a treatment and wear it in an updo? In the summer, I&apos;m very Euro this way. I always remember going to the beaches in France and they were using Phytoplage—they were using oils in their hair at the beach all day. But everybody looked so chic with their hair pulled back and all greased up. I was like, "We need to be doing this, too!" A day out in conditioners is great; you look cool and pulled-back and you&apos;ve done a treatment all day. Then you rinse and do a reveal at night. So those are cool things to be doing with your hair, particularly when it has been coloured. The problem with protein is that sometimes the hair can get too proteinated, and it can snap. If I were to put protein on Gwen&apos;s hair, because it&apos;s so chemical, it&apos;s already in a certain state that needs emollients and moisture. It&apos;s chronically dry. So I wouldn&apos;t want to go that route. Most people need moisture to keep it soft and bendable. Mind you, we made Carolyn Murphy&apos;s career because her hair broke off. We put colour in, and I told her to wash it when she got home. "Don&apos;t you dare go to sleep with it!" She went to bed with it, and woke up with her hair on the pillow. But then she became the face of Prada with her short hair. Carolyn Murphy in a 1996 Prada campaign. Is co-washing (washing with conditioner) a good thing? It gives an amazing finish to your hair. We have a cleansing conditioner and I like it on people who have more natural-ish hair. Try it every third shampoo, as a treatment. I mean, it&apos;s not a mask; it does cleanse your hair. But it&apos;s a treatment in the sense of, "I&apos;m treating my hair nice." 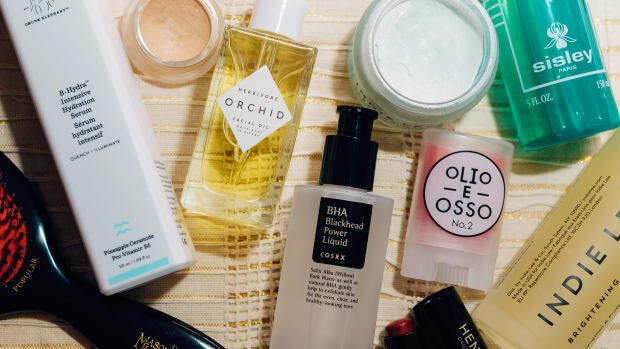 You know those oil emulsifiers for makeup removers? That&apos;s exactly what it&apos;s doing. Through using a suspension of the right kind of oils, we&apos;re able to break down oils, and with our science, it stays light and gets off your hair. You can use it every time you shampoo; it just depends on your hair type. I&apos;ve tried it on fine hair, and we loved it. I have a fine hair client and she didn&apos;t want to use anything else. 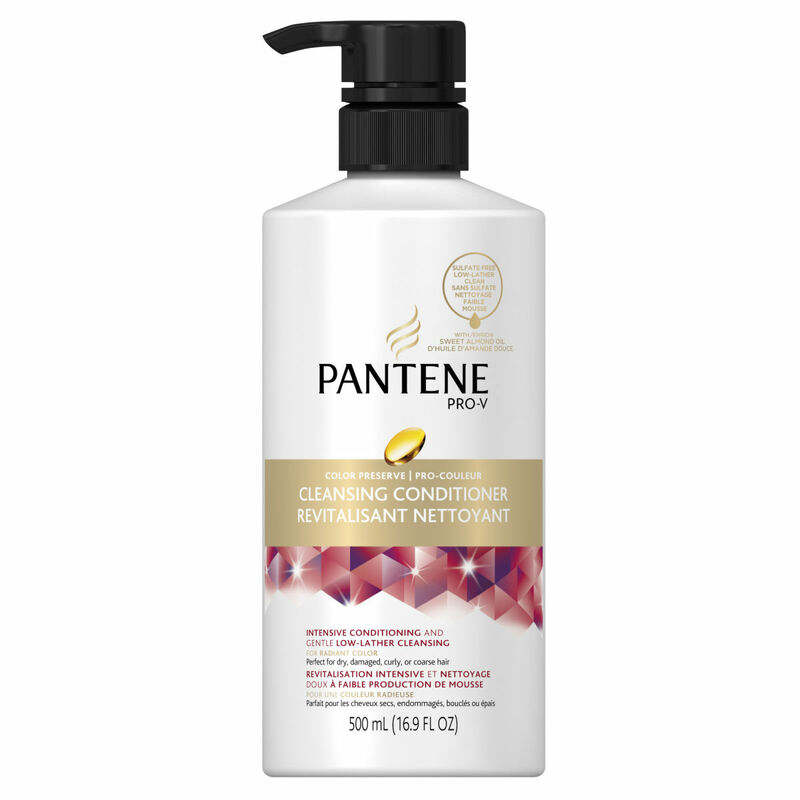 Pantene Pro-V Color Preserve Cleansing Conditioner. How important is clarifying shampoo? I always advise to keep around a bottle of deep-cleansing shampoo. Something that will pull off all the build-up that happens with your lifestyle and the products you put on, and start you over. Everybody knows that stage of when you use a product for the first time, and you&apos;re like, "Wow!" With a coat on the hair, you start to get less performance of your style, and less shine. Many hairdressers tell women to never use drugstore hair products, because of "build-up." What would you say to people who think salon products are always better? Sorry, it&apos;s just not true. They don&apos;t know the story. That&apos;s why I ended up here. A lot of people, particularly young people, don&apos;t even know that Pantene was the first salon brand. We were like Kérastase when we came to this country. We were the first European conditioner in the salon; we came in the &apos;60s and went into salons only. Through the process of being bought and distributed by a company [Procter & Gamble] that can do that properly, they were able to make the quality available for a lesser price. A lot of the pro stuff costs $60. We&apos;re in a cool place to be able to offer a lot of technology in a product at an affordable price. Why shouldn&apos;t everyone have access to pretty hair? What&apos;s your opinion on silicones? Have you ever washed your hair and not done anything, and seen how it is? It&apos;s usually not very happy and doesn&apos;t want to do anything except fly away. I&apos;ve never understood the anti-silicone thing. Like, "You want that long, beautiful, straight hair, but how do you think it happens?" It&apos;s not just a gift from God. It&apos;s the manipulation and the science that makes a difference. Silicone comes from sand. It&apos;s a derivative of sand, and it has revolutionized the hair world. Every makeup line is loaded with them. So I just think it&apos;s a silly myth. At Pantene, we&apos;ve always gotten accused of having the most. We don&apos;t.
This is the bottom line. Your hair is dead. We don&apos;t need to be so damn precious. Skin regenerates itself; hair does not. It needs all the help it can get. It needs the emollients; it needs the extra moisture. A lot of people, particularly with curls, have hair that feels coarse and dry. And a way to get a silky feel is with silicones. 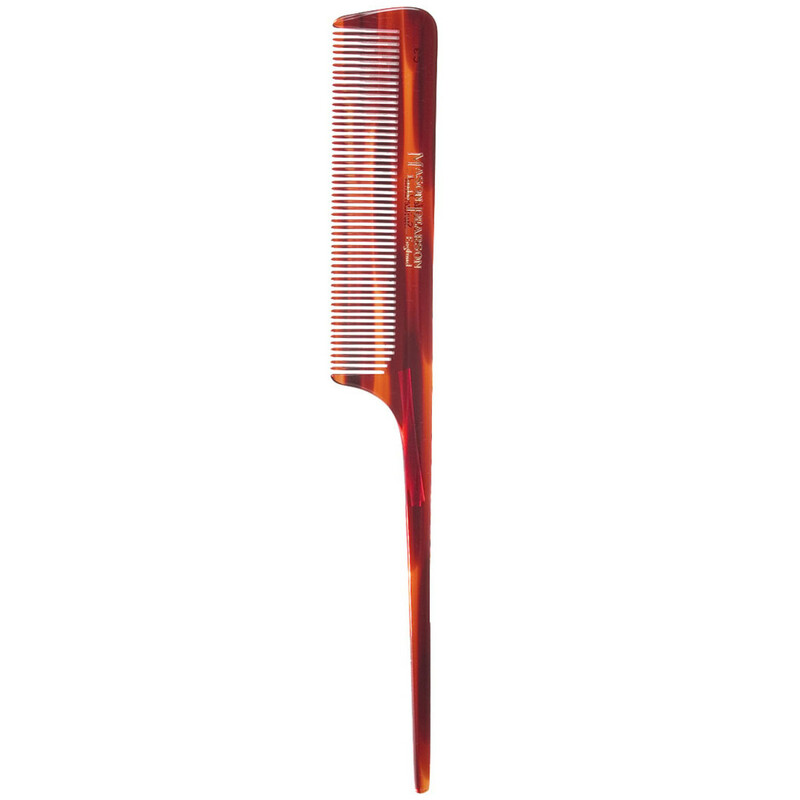 What are your favourite brushes or combs? 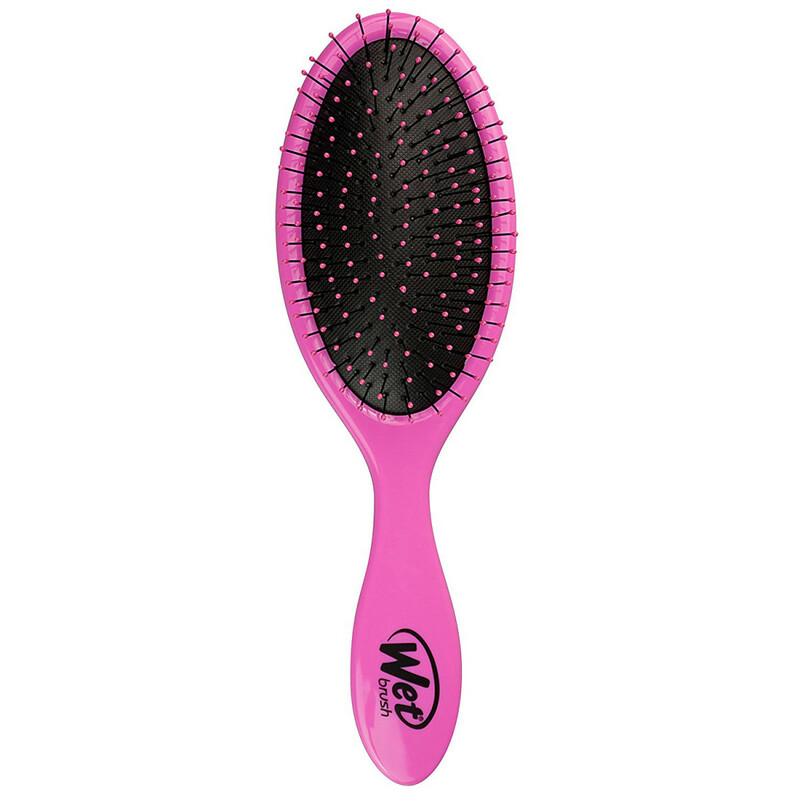 The Wet Brush is designed for when your hair is wet, when you really brutalize your hair. It&apos;s better than Tangle Teezer and comes in a smaller size, too. I think Tangle Teezer is just a copy of these guys. They&apos;ve been around for a long time. 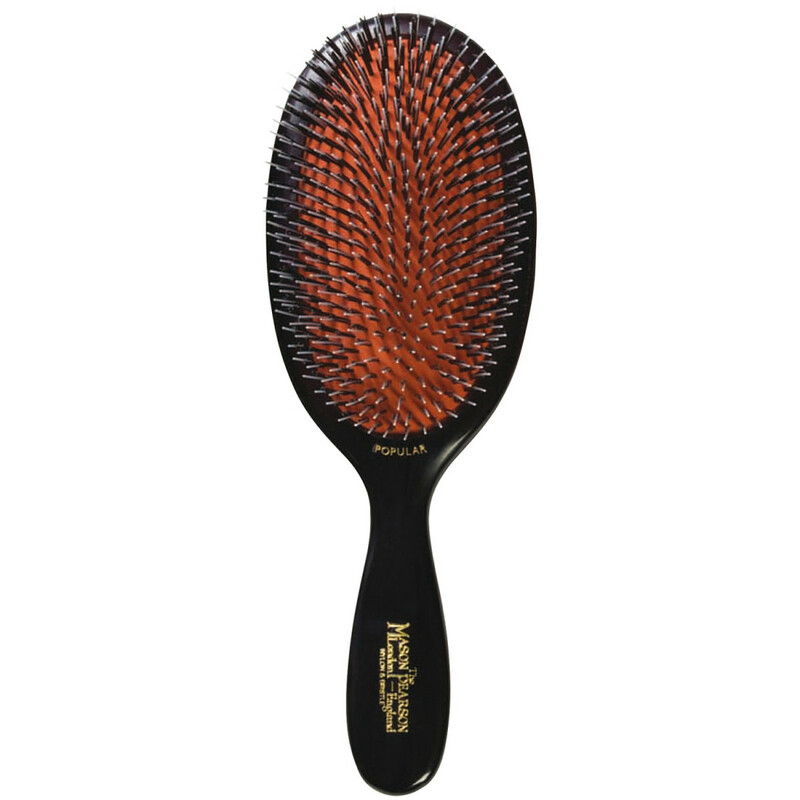 The Wet Brush Original Detangler. A mixed bristle brush is huge for me. Hair really likes it. Mason Pearson Popular Mixture Brush. Do you have any tips for heat-styling? The big thing about tools is you have to use a state-of-the art tool. The old-school stuff just tortures your hair. Turning up the heat and burning your hair is not an answer to styling. You&apos;ll cause a lot of problems down the way, like split ends. Dialling it back is a better way to go. Having adjustability of the heat is key. Also, regimens are always going to be the answer to healthy hair. Yes, I can take tools and make your hair look ideal. But products are actually going in. You need that foundation to do everything else. Use leave-in conditioner and protective creams to style it. All those things you use to build the style are kind to the hair and preserve the hair longer. What are your favourite hot tools? I use predominantly T3. They&apos;ve sponsored me for a long time. I&apos;ve also done a lot of work with ghd. I did Katy Perry for her whole campaign with ghd. They&apos;re good, but they&apos;re so expensive. I think T3 is affordable, and I find they work really well for people. They offer a big diversity of products, and have a lot of breakthrough technology. They also gave us the water filters, which I think are great. Should everyone be using a water filter? We found in our studies, looking at what caused hair damage, that one of the biggest offenders is copper, from the pipes. It settles on hair and causes a weak spot. The copper doesn&apos;t cause the damage, but it creates a weakness. The pictures I&apos;ve seen, it looks a lot like oxidation. You could live in the most expensive, new high-rise, but it comes through the system no matter what. 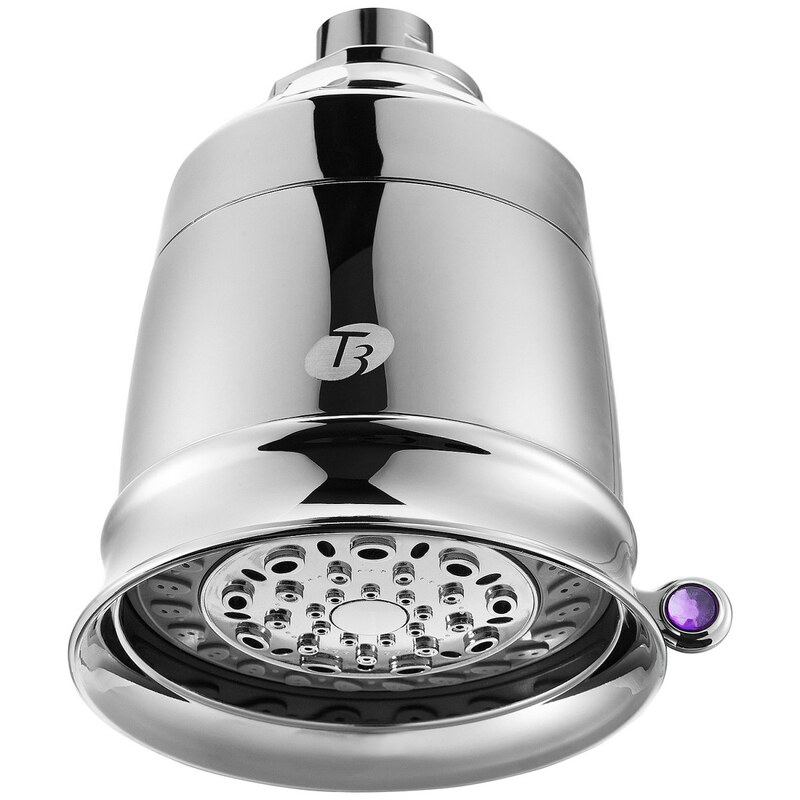 It can be filtered out of your water, and T3 makes a great filter, but that&apos;s a lot of money. 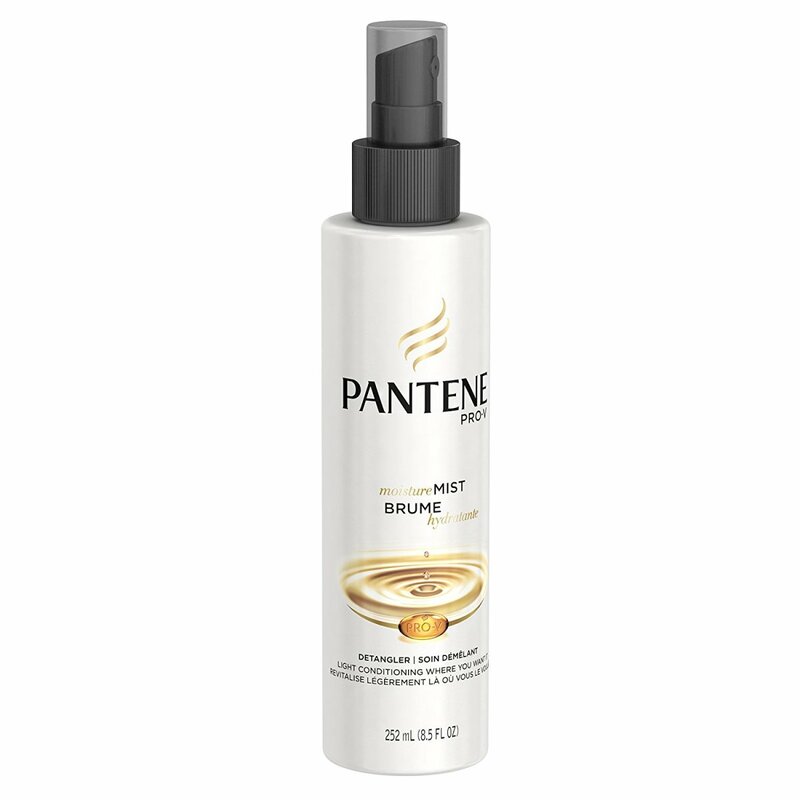 Pantene has a breakthrough technology that we put in all the products. It identifies the weak spots, rebuilds over them, and seals them. It&apos;s what I call "smart" technology because it&apos;s really attracted to problems. It recognizes damage to the hair and delivers to that. What&apos;s the best way to style your hair if you have zero skills? If you have no skills, the simplest thing is to brush your hair into a ponytail. Then braid or twist some pieces in. It looks complex, but it&apos;s not. And it changes the look no matter where you position your ponytail. It&apos;s quite simple and takes no talent whatsoever. 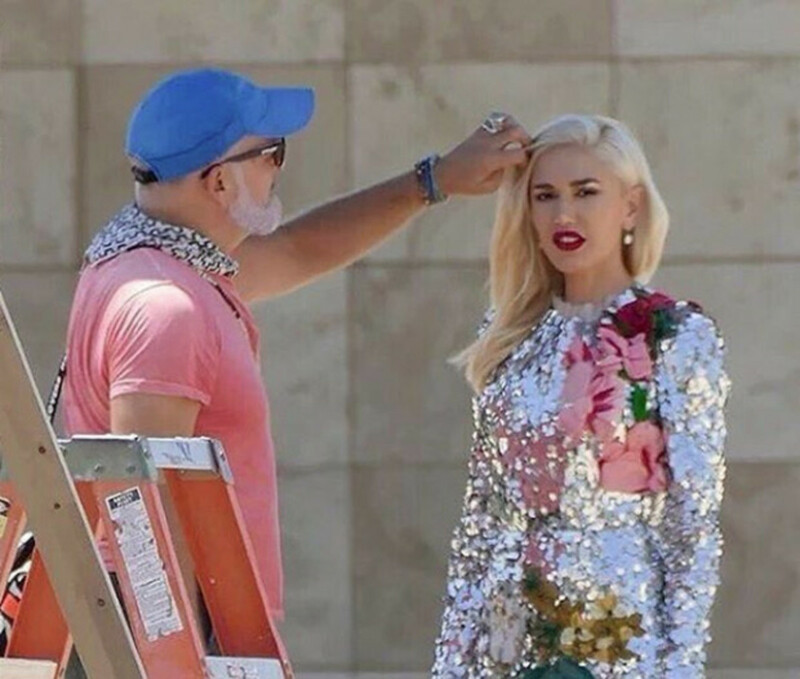 Danilo styling Gwen Stefani for GX by Gwen Stefani. How do you think the hairstyling world has changed with the rise of things like social media and Photoshop? It&apos;s so funny, because when I&apos;m with a group, I&apos;m always the senior now. I constantly meet new people, and they&apos;re very young. I&apos;m like, "You know what the difference is between us? I have memories and you look them up." It really is, and that&apos;s shocking, but they don&apos;t even know that. When I wanted something, I had to go find it. I had to experience it. That gives you social skills that I don&apos;t feel they have. It just makes me really grateful for what I lived through. I had the &apos;80s; they are re-living the &apos;80s and &apos;90s. But that was always the case with vintage. Up until the digital age and social media, you always had to live it. My passion drove me, as opposed to, "I clicked online and saw it." Photoshop is the other thing. How do you compete with all that? Nobody&apos;s putting themselves out there for real. I&apos;d very much like to get more into product development. I&apos;m a big fan of showing compassion through product. I&apos;ve always said I want to change the world, one can of hairspray at a time. With Pantene, I think there&apos;s room for some really cool developments. For example, just from a relevancy standpoint alone, doing pop-up satellite collections like so many makeup brands do. Like, "Maybe it&apos;s a trend and it&apos;s gone, but we did it and it was cool." The other thing I have a big desire for us to do is open some flagship salons. I&apos;ve wanted this for a long time before Blo came along. Come get a shampoo and a condition, and get that Pantene quality. I definitely think there&apos;s room for that. What&apos;s the one hair message you&apos;d like to spread? Treat your hair as nicely as you treat your skin. Take care of it. It&apos;s a combination of using the right products, and learning the right way to style it that suits you and your identity. Also, have a great hairdresser. Just because they&apos;re licensed doesn&apos;t mean they&apos;re any good. Find more from Danilo on Instagram and Twitter. What do you think of Danilo&apos;s approach to hair—and haircare? The Bellas are back, and their hair has never looked better. Hollywood's go-to hair guru on her must-have products, favourite tools—and how to style your hair like her famous clients. Consider this your no-fail frizz-proofing strategy. 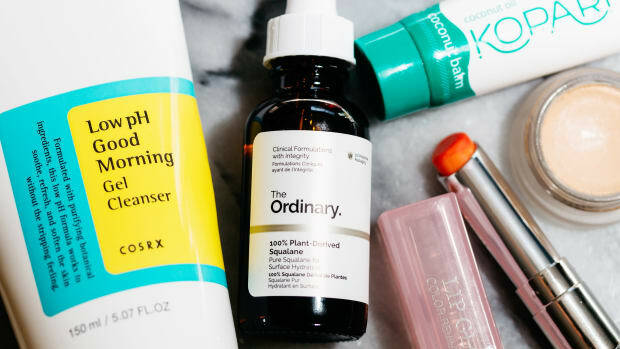 They could be holding you back from a healthy complexion.